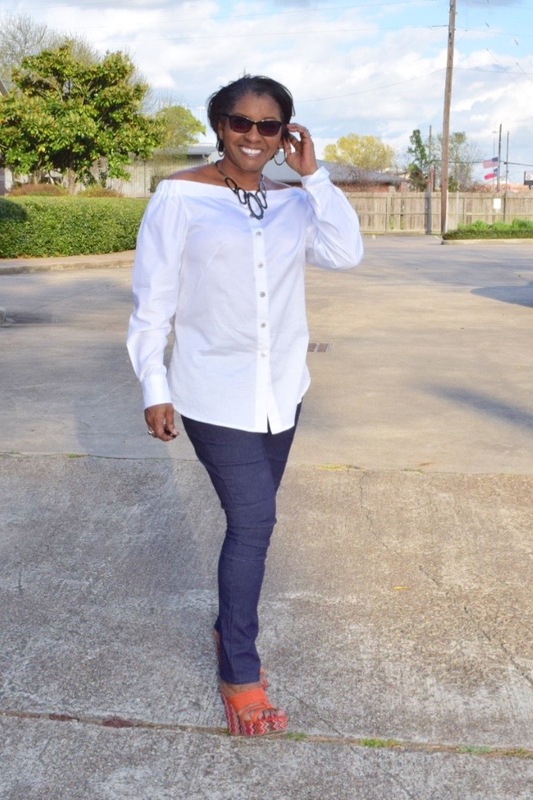 That Classic White Button Down Shirt…..sort of. Last year I went back to the basics. 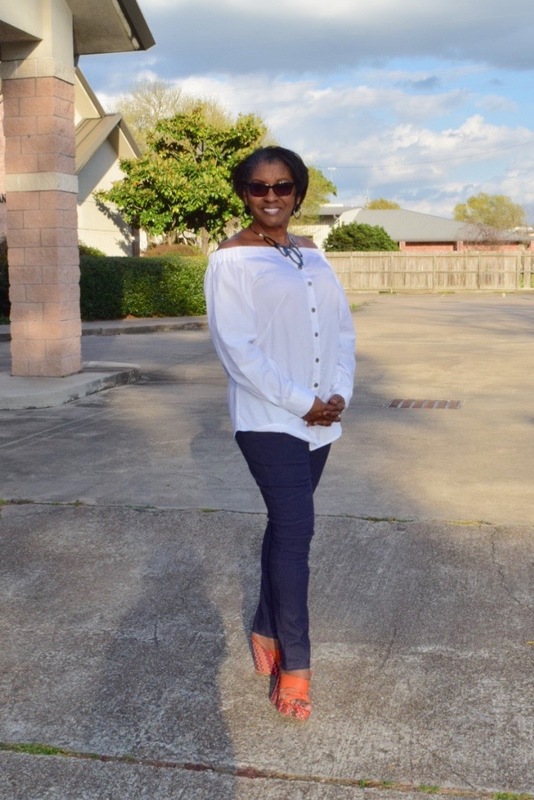 With the help of a wardrobe consultant, I have been steadily trying to make basic garments to go along with the fun flashy mood enhancing outfits I am prone to focus on regularly. She insisted I make a basic white shirt, here. I followed along, rather defiantly, but I did what I was told. 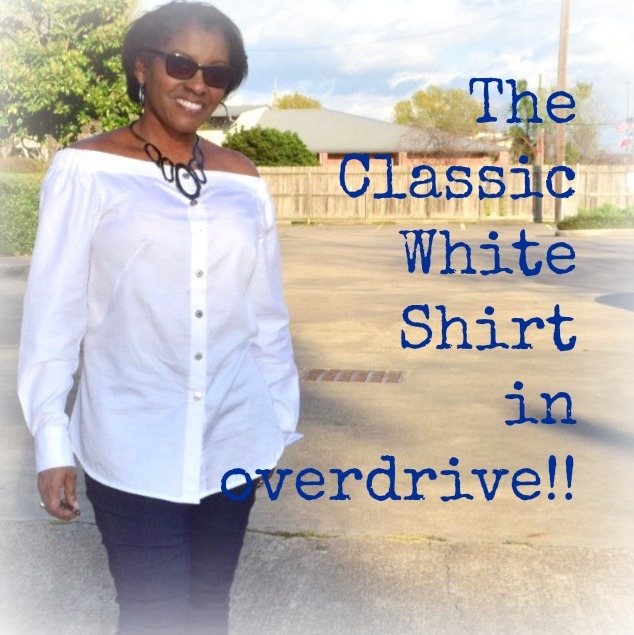 I had no idea that the basic white shirt would become one that I would reach for more often than not. However, my inner child couldn’t be held back for much longer, I had to “turn it up” a notch so to speak. 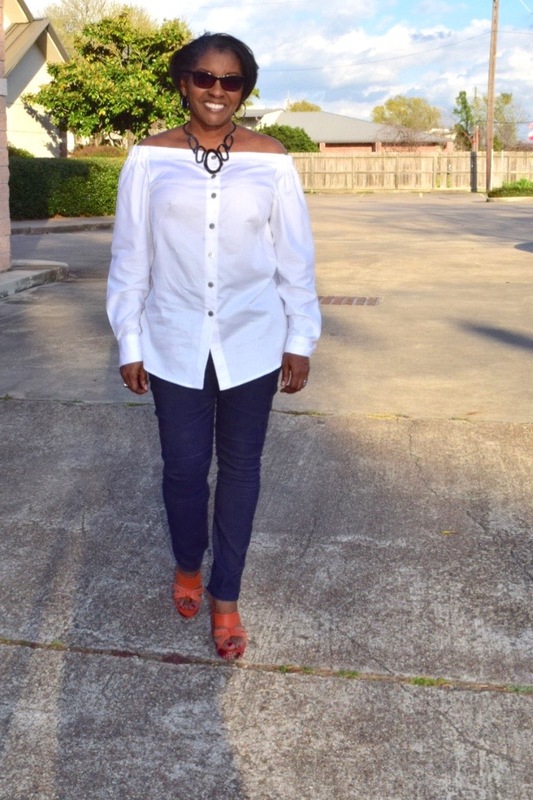 Thus, I bring to you my version of the basic white button down shirt!!!! Tadah!!! It is so much fun when you can create exactly what you want and have it work out the first time around. 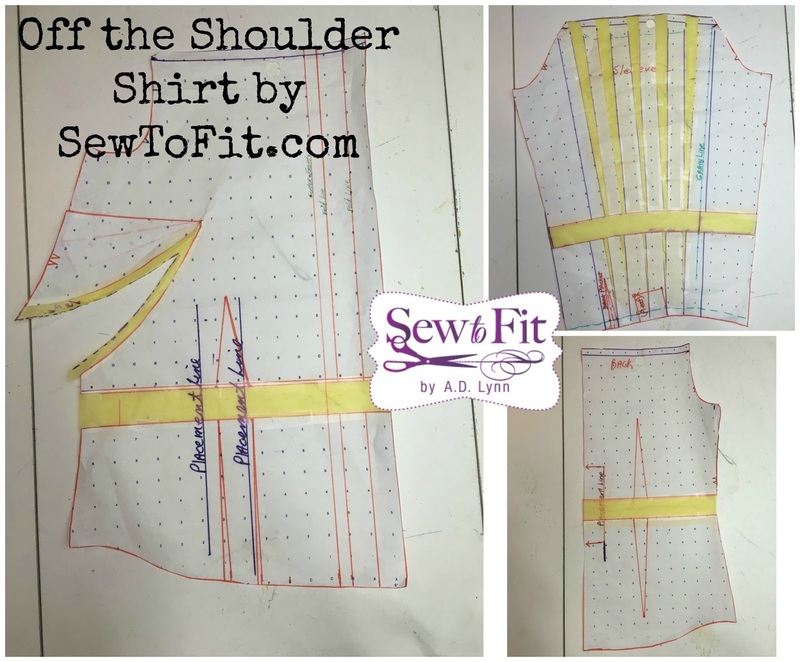 This is particularly so because I had already gone through the process of fitting and tweaking my basic sloper for the “darted” front bodice some time ago. So all I had to do was make the changes to the basic shirt pattern as needed to make this one. I had a few design elements in mind that I knew I wanted, including that elastic sleeve detail. I just love it. I kept the upper band flat and just kept the 1″ elastic in the area of the sleeve to keep it flat over the bust and at the back. This small detail made all the difference for me. Another very important detail that made the difference for this being an “off-the-shoulder”, was the need for a different type of dart. I made the regular side bust dart into a “french” dart so that it would not appear like a lone line floating in a sea of clouds. It also elongated the torso. Another win. Also, I just had to have the regular “men’s” shirt pleat in the back in order to give it that oversized look. Since I have fallen in love with my new “boyfriend” jeans, I now wanted to have a “boyfriend” shirt. So, I made sure I exaggerated the length of the bodice and the sleeves. The sleeve cuffs are really regular double button oversized as well so they hang over my thumb just a little to make it look too big but not slouchy. The buttons were a gift from a customer, which made the outfit. It really is amazing how easy it is for people to understand your style just by the clothes you wear. 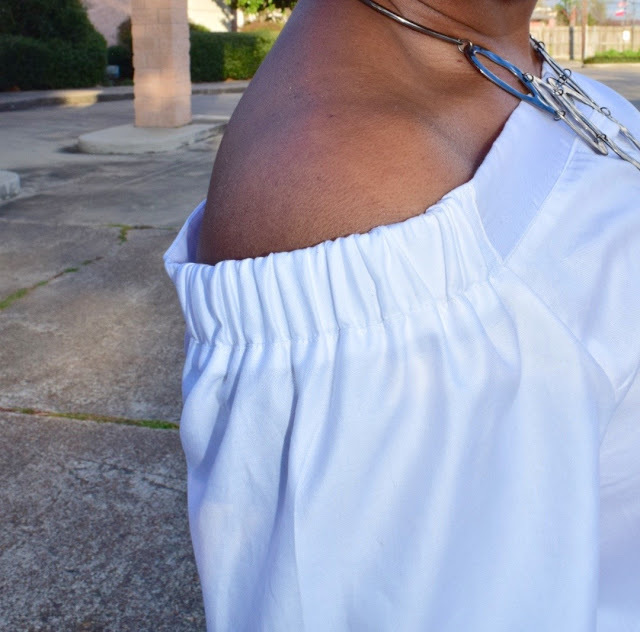 And to think, I didn’t want to wear an “off-the-shoulder” because I don’t like the idea of adding any extra to my chest area. This flat band treatment really made all the difference. The pants are my Style Arc Cassie pants from last year I think. measure and cut top of shoulder and sleeve away. 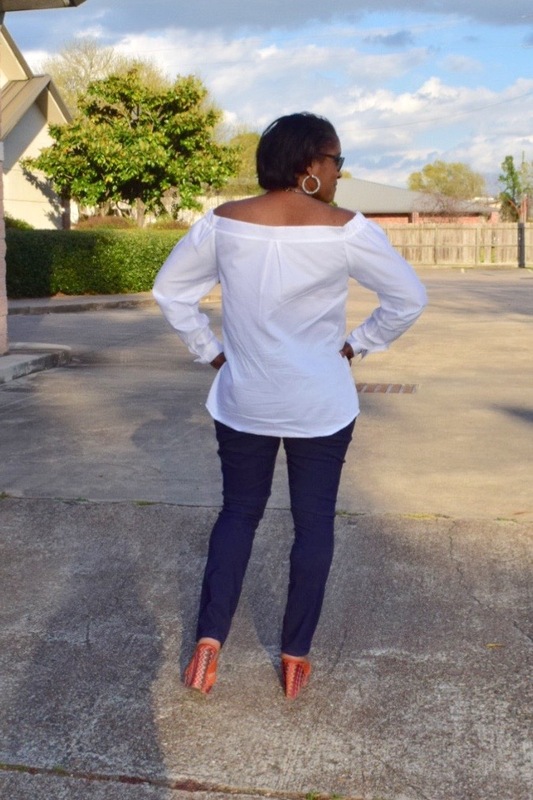 Have you taken the time to make sure you have a basic pattern that you can work from when you find that special outfit or garment inspiration?